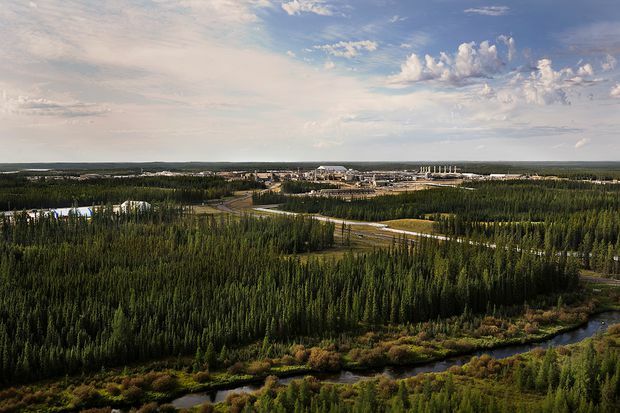 Alberta’s energy industry is in the midst of a major transformation. While the sector remains the foundation of the provincial economy and is a significant contributor to Canada’s overall economic growth, expansion has slowed. Part of this slowdown is due to lower global prices in all resource sectors. In the energy industry, the slowdown is also, in part, due to competition from alternative energy sources, which are steadily becoming a bigger piece of the national and global energy mix. Still, fossils fuels continue to be the key source of energy and remain this way well into the future, according to the International Energy Agency (IEA). In its latest World Energy Outlook, the IEA estimates 27 per cent of total world energy demand will come from oil in 2040, representing the largest share of any fuel source. The energy sector is still meaningful, but the cost of production and environmental impacts are top considerations if companies in this sector want to remain competitive and move forward. All of this means that the responsible development of the energy sector, both fiscally and environmentally, is a key driver of Alberta’s economy. It’s also what brings the continued support from industry partners such as ATB Financial, a provider of capital, to the energy sector. As Alberta's largest homegrown financial institution, ATB has been consistently providing capital to Alberta’s energy sector for more than six decades — all through the ups and downs of each economic cycle. ATB was created in 1938 as a temporary solution to help lift Alberta out of the Great Depression. The company has since grown to more than $53-billion in assets with 5,000 team members in 244 communities across the province, fuelled by a mission to support companies seeking to grow and adapt to economic and societal changes. Energy companies, like those in many sectors, are relying on the latest technologies to help increase efficiencies at their operations and to reduce emissions. “The energy industry is one of the industries in Alberta that’s leading the way when it comes to harnessing tech to improve, innovative, evolve and become more environmentally friendly,” says Mr. Stange — and ATB is part of that improvement process, by supporting responsible energy companies and their affiliated businesses. An example is the carbon offset developer Blue Source Methane ULC, a subsidiary of Blue Source Canada, an installer of low emission pneumatic devices at well sites. Blue Source is one of a growing number of companies that bridges traditional and new energy sectors. Mr. Stange confirms that to develop this “progressive technology,” Blue Source turned to ATB to provide expansion capital. Much like the energy industry, ATB is also preparing for change driven by technology and changing consumer sentiment around financial services. An example is ATB’s recent adoption of blockchain technology, which is used to help streamline processes ranging from cross-border payments to securities settlement. ATB is working with a number of oil and gas companies to use blockchain to handle monthly transactions on oil settlement day. “We think that blockchain technology will increase transparency, reduce the risk of human error, eliminate the need for numerous spreadsheets and other administration work and will really enable the energy industry to help settle literally thousands of contracts in a more efficient way,” Mr. Stange says. The energy industry faces a number of challenges, ranging from changing commodity prices to disruptive technologies, and will need to continue to change and evolve to remain competitive. Mr. Stange says ATB will keep working alongside the energy industry, including offering its support for infrastructure projects like the Trans Mountain pipeline system, which the federal government bought from Kinder Morgan for $4.3-billion earlier this year. While the Federal Court of Appeal rejected Trans Mountain’s environmental approval, the court instructed Ottawa to go back and conduct more consultations with Indigenous people affected by the expansion. Just recently, Ottawa launched a new round of consultations with Indigenous communities. “We are hopeful for some decisive action on that piece of infrastructure which we think is critically important,” says Mr. Stange, who sees ATB’s role as not just providing capital to industry, but also lending its voice to the responsible development of both traditional and new energy in the province. For Mr. Stange, it’s through this position that ATB will help to secure the long-term growth of the overall energy industry and the broader economy.